Looking for help with an urgent issue? Stressing for an exam? Looking to resolve conflicts? Needing help to convert and turn your life around? Having issues with procrastination? 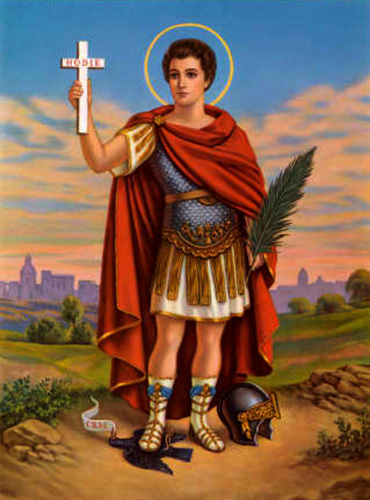 These are some of the situations with which Saint Expeditus can help you! Pray the novena and spread the word. His feast day in the Catholic Church is on April 19th. I am heartily sorry for all my sins. and the virtues of Your martyr, St. Expeditus. if they are for my own good. and will propagate this devotion to you. Pray 3 Our Father… in honor of the Most Holy Trinity. and hold me steadfast in the midst of sufferings. that without them I may love only God in all eternity. that I may fight my own passions. that block my way to heaven. which is the stumbling block of my soul. and that I may pray only to Him in all eternity. and the good of my fellowmen. before I commit any mortal sin.